In fact, the latest figures from the US Bureau of Labor Statistics found that the average US household spent over $4,600 on healthcare in 2016. More than $3,000 of that went toward health insurance. Considering that’s around 10 percent of an average American’s household expenses, it makes sense that so many of us would like to get a bit of that money back at tax time. The good news here is that some health insurance costs are tax-deductible. As for the bad news: not everyone can take advantage of those write-offs. You pay for health insurance coverage using after-tax dollars. Don’t worry if you find the above confusing. We’ll explain it all in further detail in the next couple of sections. 1. You pay all or part of your health insurance premiums using after-tax dollars. For starters, your overall medical costs for the year need to be higher than a certain percentage of your adjusted gross income (AGI). The percentage for 2018 is 7.5, while the percentage for 2019 is 10. But what does that mean? For the 2018 tax year, it means you can deduct medical expenses that, when combined, total more than 7.5 percent of your AGI. In 2019, that amount has to exceed 10 percent of your AGI. 2. You’re enrolled in Medicare. 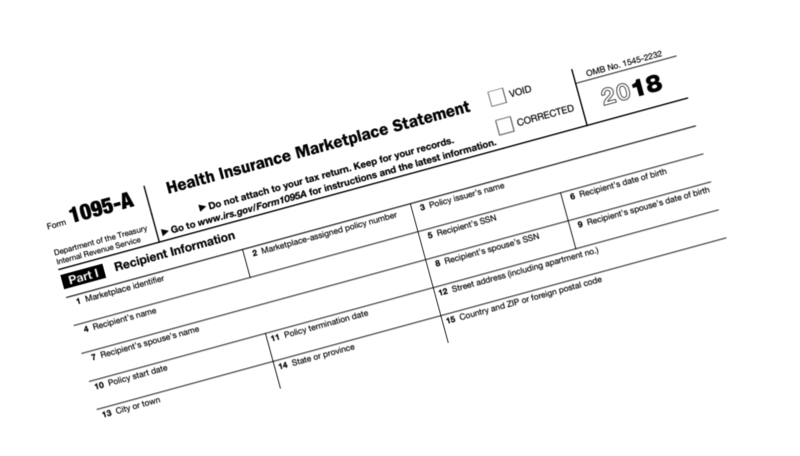 Be honest now: you read earlier that self-employed people can deduct health insurance payments from their tax returns and you got excited, didn’t you? Well, get ready to become even more excited. Why? Taking advantage of these write-offs when self-employed is a lot easier than doing so in the other situations we’ve discussed. The main reason for that is you don’t have to itemize your deductions while self-employed. You also don’t have to worry about your medical costs adding up to a certain percentage of your AGI. Instead, the deductions we’re talking about here are of the “above the line” variety. That’s a fancy way of saying you can enter them as standard deductions on the first page of your 1040 form. Before you waste too much energy jumping for joy, know this: you still need to clear a couple of hurdles before you can benefit from this deduction. You must make a profit. If you don’t make any money you can’t write off your health insurance premiums in this way, according to Nolo.com. 1. You didn’t pay your own health insurance premiums. 2. You paid for at least some of your health plan’s premiums, but with pre-tax dollars. 3. You used a premium tax credit or cost-sharing subsidy when you bought health insurance from the Affordable Care Act marketplace. 4. You have no desire to itemize your tax deductions. Source: QuoteWizard.com. QuoteWizard.com LLC states that it has made every effort to ensure that the information on this site is correct, but they cannot guarantee that it is free of inaccuracies, errors, or omissions. All content is provided “as is” and “as available” for use. QuoteWizard.com LLC makes no representations or warranties of any kind, express or implied to the information.